LANDMARK OF ROMANTICISM IN ITS EARLIEST OBTAINABLE EDITION: Lyrical ballads, with a few other poems. London: London: printed for J. & A. Arch, Gracechurch-Street, 1798. 1st Edition . Full leather. Near Fine. 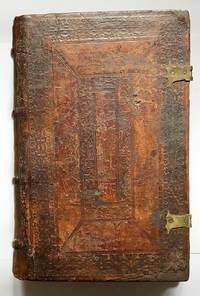 First edition, second issue; octavo; ,v,,69,,70-210,pp. In contemporary full calf with gilt double fillet to board edges, respined in matching leather with five raised gilt-tooled spine bands, gilt lettered brown morocco spine labels to second and third compartments, remaining compartments gilt, gilt lettered date to foot of spine, all page edges gilt, with custom-made green chemise housed in recent green morocco-backed cloth slip case with five raised spine bands and gilt lettering to second and fourth compartments and to foot of spine. Internally clean with the lightest of occasional spots only. Errata leaf present at end but without advertisement leaf. As normal, the cancel title page replaces that of the Bristol original, and leaves D8 and E1-2 are cancelled by four leaves, replacing 'Lewti; or the Circassian love chant' by 'The nightingale'; the cancel contents leaf is amended accordingly. A delightful near-fine example of this founding text of the English Romantic movement in its earliest obtainable edition; ESTC T142994. 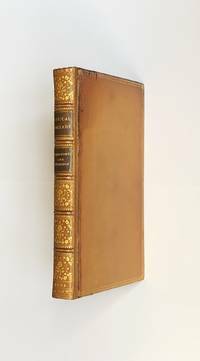 Title: LANDMARK OF ROMANTICISM IN ITS EARLIEST OBTAINABLE EDITION: Lyrical ballads, with a few other poems.